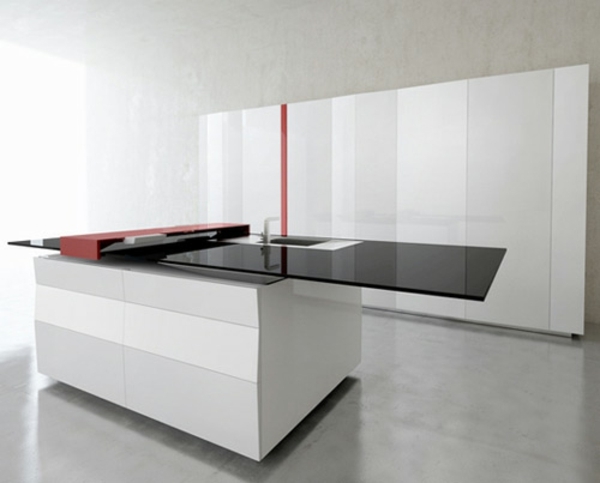 The Prisma Kitchen from Italian Manufacturer Toncelli Cucine Spa is clean and minimalistic with tablet technology built into the countertop. 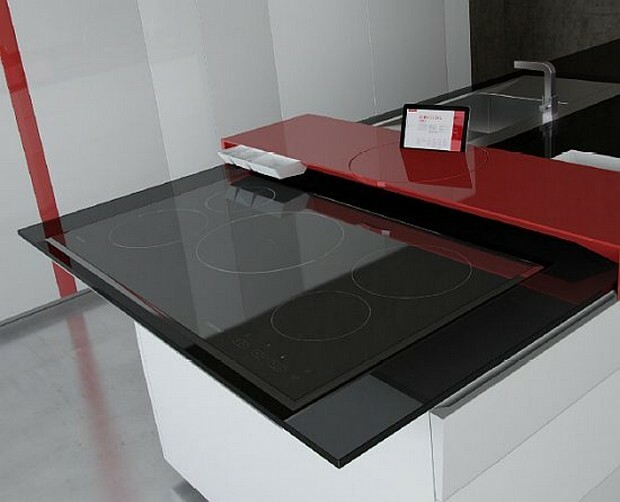 The island concept is a collaboration between Toncelli Designs and consulting firm Experientia to create a new kitchen experience. 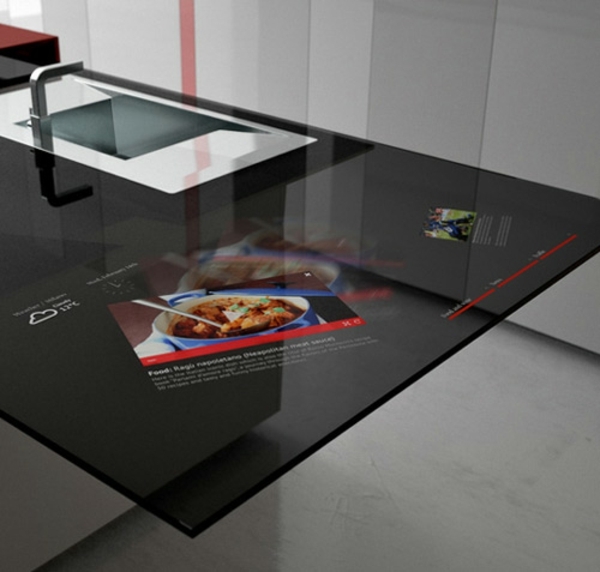 The black glass countertop seamlessly incorporates the large Samsung tablet and is trimmed with anodized aluminum. The sliding cutting board is a great feature if you are not vertically challenged. I would think it would be okay for dicing small things but I wouldn’t try to cut a pineapple or a watermelon on it. I do like the contrasting red color. The center of the cutting board turns via lazy Susan hardware. I’m not sure it is necessary but Toncelli states it is for viewing upright items like a tablet – do you need another one? The overall concept is successfully minimalistic while also being complex in its ingenuity. The lack of visible hardware and almost floating appearance of the island keeps the cabinetry streamlined but not boring. The large screen would make recipe viewing easier than using a smart phone or a tablet. Unlike a tablet, it can’t be knocked off its perch. I think as long as the screen resolution is nice then viewing your screen at an angle would be acceptable. I am curious if the type of person who would be most likely to want this technology might also be the person who grows tired of it the fastest. What do you think? 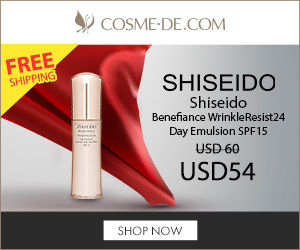 Is this the type of item someone buys for themselves or do they buy it to impress others?